The Daffodil was originally an art deco cinema back in the 1920’s and still retains many of it’s original features such as the mosaic tiles, film posters and the old projectors. Having been brought up to date in 1998 and refurbished by interior designer Laurence Llewelyn-Bowen it’s now transformed into a stylish restaurant and a licensed wedding venue. It caters for civil ceremonies and Partnerships with a capacity to hold up to 140 guests for the wedding reception. Fine dining and use of the cocktail bar are highlights you can’t miss. 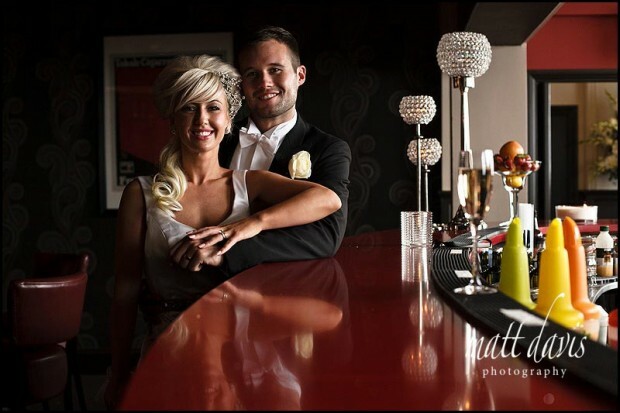 If you’re looking for a wedding venue with a unique style, maybe someting of a glamorous vintage look, then The Daffodil is definitely a great place to start. I’ve loved this building since living in Cheltenham, and have eaten in the restaurant many times. 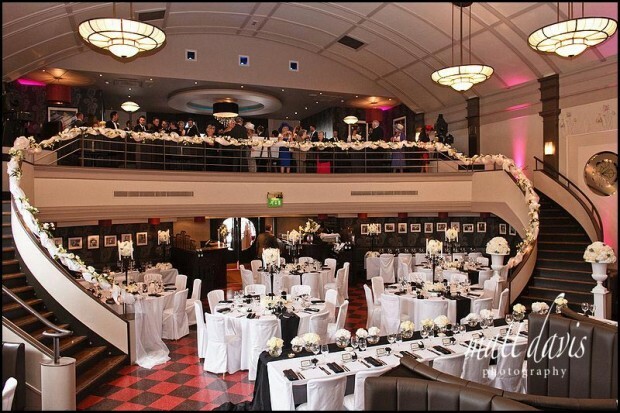 The food is excellent, the atmosphere wonderful and if you like a Jazz feel, or that cinematic style of the 1920’s then this must be the wedding venue for you. It’s definitely a good venue to consider if you are having a themed wedding, and gives guests a chance to dress up for a special one off occasion. The sweeping staricase and architecture inside is stunning. Guests can enjoy drinks on the balcony area, before sitting for dinner in the main restaurant area below. This is however very much an indoor wedding venue. For wedding photos at The Daffodil, I’d recommend using the main entrance with its stunning checkered floor, or perhaps the nearby Montpellier Park, Cheltenham, if time allows. Inside is lit atmospherically, although there is very little natural light. For this reason you’ll need to ensure you have a photographer who is used to working in low light. To see a recent wedding held here, please take a look at my blog, with this fabulous Hollywood themed wedding at the Daffodil. 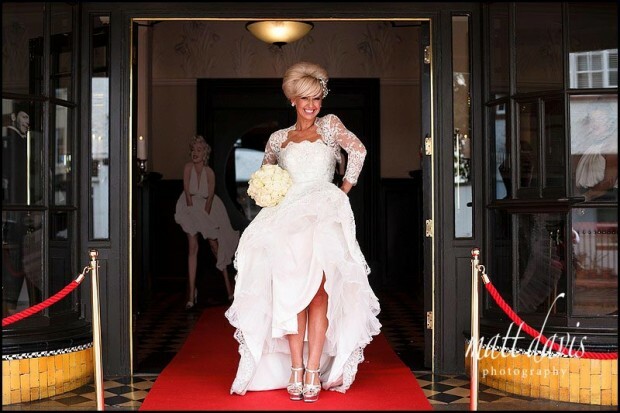 If you are considering a wedding at The Daffodil then please contact me for a chat. You may like to read some wedding testimonials from previous clients.